After a long wait, the first Curaçao Art board game, a quartet, is a reality. 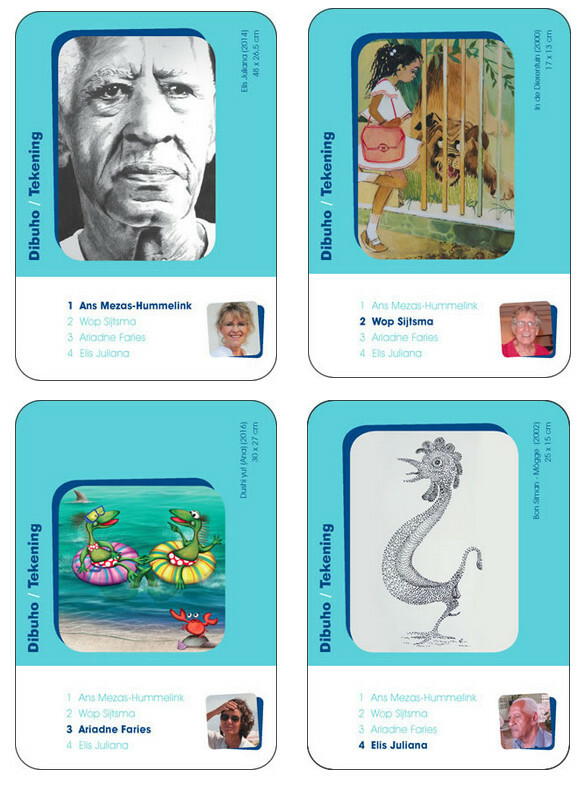 Not only the board game has been created, but also lesson sheets and worksheets for the students of the Primary, Special and Secondary education in Dutch and Papiamentu. All material can be seen and freely downloaded via the websites www.kuartetdiartekorsou.org en www.kunstkwartetcuracao.org.